Thanks again for being here today. Also, if you are joining us online, thanks for worshiping with us in that way. We would love to know you are with us so just type your name in the chat box or let us know how we can be praying for you. 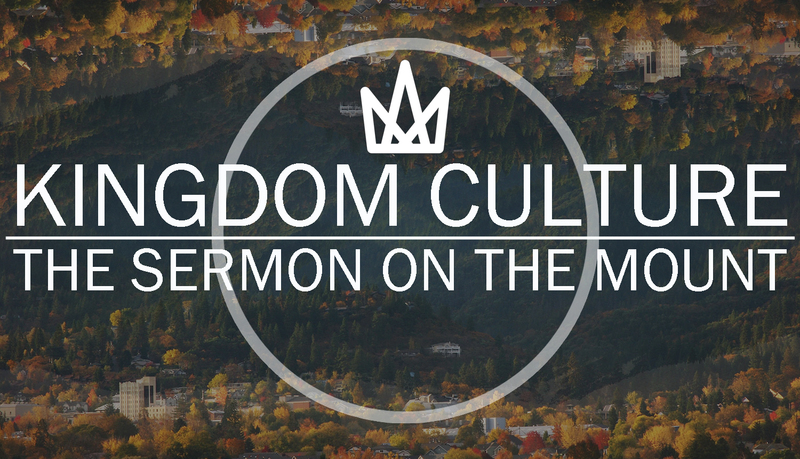 We are moving towards the home stretch of Kingdom Culture, which will conclude next Sunday. Jesus began by teaching us in chapter 5 about our heart, our integrity, our character and how he wants us to live in relationship with him and how to live out that relationship in our world. In chapter 6, Jesus moved to teaching us about how our heart, our inner life, will be reflected in how we steward what He has given us – our material possessions, our food, clothing, our stuff. Jesus has described a Christian’s character, influence, righteousness, and ambition and now concentrates on relationships. Kingdom Culture is not individualist but communal. Jesus continues this theme of how we live with one another in our passage from Matthew 7:7-23. Story: Grandpa’s encounter with a North Korean and his prayer to the Lord. He was at a crossroads of decision and he credits God for bringing him home after his decision. 12 “Do to others whatever you would like them to do to you. This is the essence of all that is taught in the law and the prophets. 13 “You can enter God’s Kingdom only through the narrow gate. The highway to hell[f] is broad, and its gate is wide for the many who choose that way. 14 But the gateway to life is very narrow and the road is difficult, and only a few ever find it. Easy ButtonWe think that life would be amazing if we just had the “easy button” from Staples. All of our problems would be solved. Or would it? If life had an easy button it would eliminate the decision-making process that would lead us to actually make a decision. We would no longer need to ask questions and learn about various options. It would also eliminate the need for much effort – except to lift our finger and press the red button down. But life doesn’t come with an easy button, we are presented with a choice to make. In our teaching from Jesus today, He presents us with this tension of two ways. So far in the Sermon on the Mount, Jesus has contrasted between the two kinds of devotion, the tow treasures, the two masters, and the two ambitions. Now as Jesus comes towards the conclusion of his sermon, it has come time for a decision to be made – once again between two ways. The two-way declaration is one used many times in scripture. In every situation, we have 2 choices to make – to choose what will please God or choose what will please ourselves or others. We are first presented with a choice to make about our influence, what or who are we going to seek? What direction are we looking for? If we are going to seek God’s direction then we must do so through prayer. receives. Everyone who seeks, finds. And to everyone who knocks, the door will be opened. This is really a choice of influence. Who is going to influence our direction? Who are we listening to and what or who is going to determine our heading? • One needs to simply ask. Make the request. • If the answer is still delayed we should knock in desperate and even agonizing prayer. This is the promise that our prayers of all kinds will be responded to just as we respond to children who ask for a loaf of bread. We wouldn’t give them a rock! The heart of the Father is to give good gifts to those who ask. Who we converse or spend time with will be who or what influences us. Story: Getting ready for a trip, we talk about who wants to go along, we pick our destination, we plot our direction – the pathway or road to get there, and when we arrive we have to enter our destination. As we seek God’s direction for us and rely on his influence, we are presented with a choice to make about that direction. What path will we choose? That leads to the third choice, the choice of responsibility. Only we can choose the path forward. God sent His Son Jesus to earth to live and die and be raise to life so that we may have a relationship with Him and have eternal life. We have to respond to His truth, His love, and His grace. It is not someone else’s responsibility or decision to make. It is ours. We have the choice to choose our influence, direction, and our responsibility. At some level, things cease to be someone else’s fault and become our own fault. So we have to take personal responsibility for our life and what we are going to do with it. Galatians 6:5 New Living Translation (NLT) are each responsible for our own conduct. James 1:12 ESV Blessed is the man who remains steadfast under trial, for when he has stood the test he will receive the crown of life, which God has promised to those who love him. Galatians 6:9 ESV And let us not grow weary of doing good, for in due season we will reap, if we do not give up. Isaiah 41:10 “Don’t be afraid, for I am with you. In every situation we have 2 choices to make – to choose what will please God or choose what will please ourselves or others. That choice is often within our hearts to trust and obey Christ and that choice will be displayed in the fruit that we bear. Many people appear on the outside that they are choosing the way of Christ but they are really choosing themselves and over time, this will be revealed by the lack of fruit they bear. Not everyone who calls out Lord, Lord is a true disciple of Christ, those who are will bear the fruit of Christ. There is fake fruit and there is real fruit. Fake fruit is fluff, surface results that may look like fruit but it is really made up of toxic ingredients that parade around as the real deal. Real fruit is pure in its essence – this fruit is formed through the transformational presence of Christ, shaping people into being more like Him. What we give we will receive. The road will be difficult because of the sacrifice that it takes. Jesus is calling us to make a decision. This morning, what have you decided? (William Temple, The Oxford Book of Prayer) Amen.